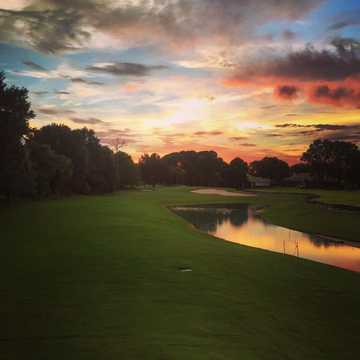 A sunset view from fairway #1 at Sweetwater Country Club. 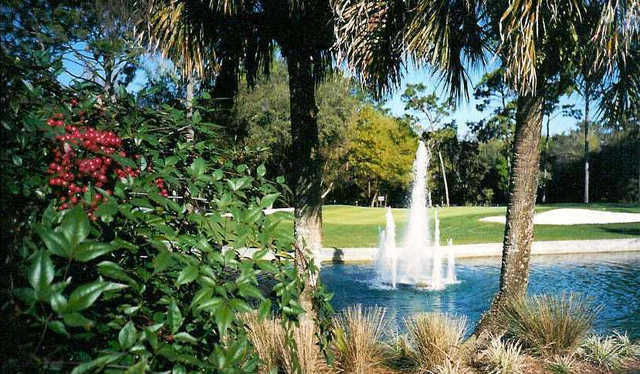 Sweetwater Golf & Country Club brings the traditions of classic Scottish links golf courses to central Florida. 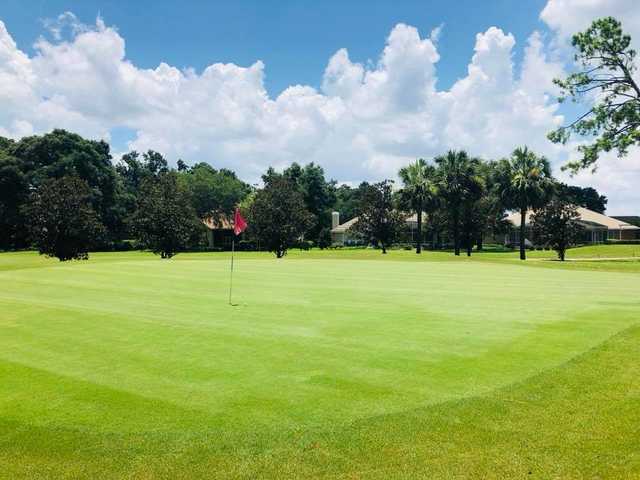 This American links course has small greens that have a medium speed and narrow fairways that are lined with mature oak trees. Water hazards also come into play on several holes. Although it is a challenging golf course if taken too casually, the player-friendly layout accommodates golfers of all skill levels. Sweetwater Golf & Country Club's signature hole is the par-5 11th, which requires an approach shot over water in order to reach the green. The relatively flat terrain allows for walking the course, but club rules indicate only after 2 p.m.